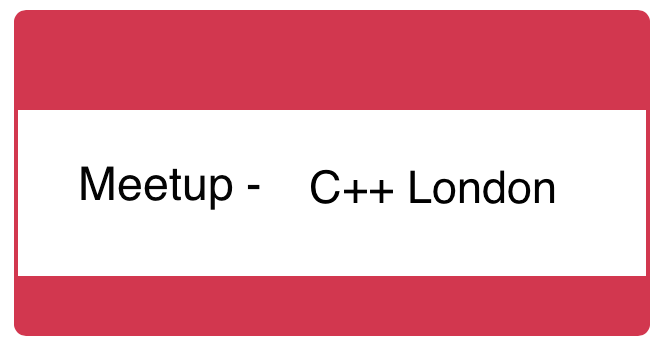 This C++ Meetup, held at Skillsmatter, was split into two talks. A good point was that use of std::shared_ptr means that other parts of the codebase can modify an object that you’re sharing – so synchronisation primitives (such as a std::mutex) are needed to ensure access to the underlying resource is thread-safe. This is often overlooked because the reference counting *is* thread-safe. In C++20, we will get atomic smart pointers to help with this. Discussing std::shared_ptr with a friend, I also learnt about a secret constructor on std::shared_ptr to share the resource control block and keep a parent pointer alive. The second talk was Arno Schödl on Error Handling. He described how Think Cell grade errors into different levels, each with a clearly defined error handling strategy. The aim is to minimise coding and testing overhead whilst maximising the ability to capture and debug error conditions.